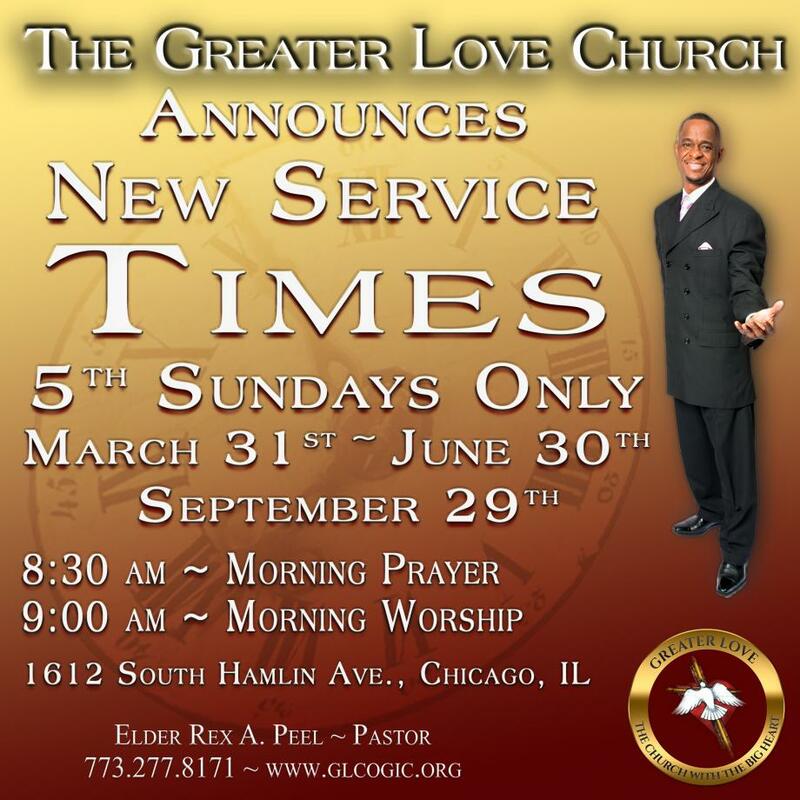 THE GREATER LOVE CHURCH is committed to preaching the gospel of Jesus Christ through service. We strive to evangelize the world by presenting Christ through instruction and example. We are all in need of Christ and we are all called to take every opportunity to present Him to the world!!! Our goal is to tell others about Christ in a way that is both attractive and meaningful. In doing so we strive to operate in love and kindness while building integral individuals through transparency, accountability and truth. Come witness firsthand the transforming power of God's word manifested through the lives at Greater Love. 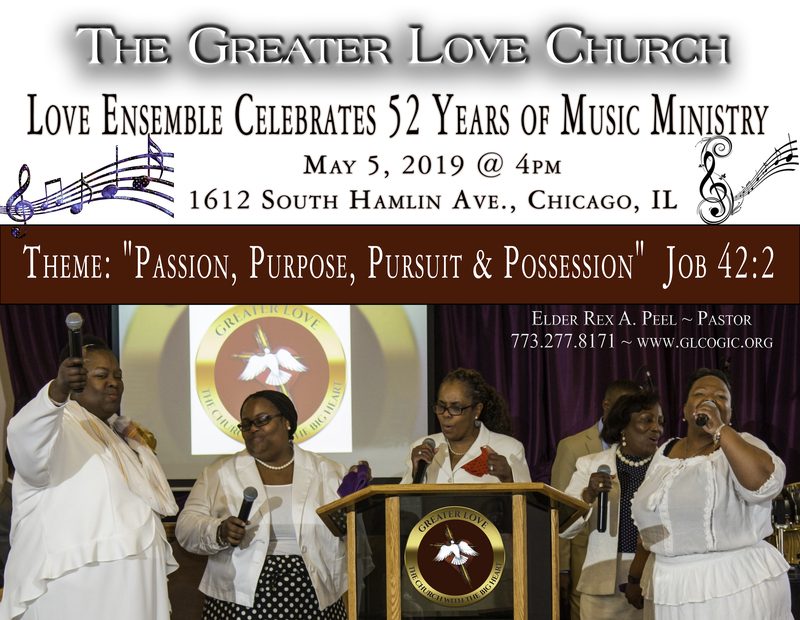 Come be a part of an unforgettable worship experience!!!! Our purpose is to glorify God, edify the Christian body and to evangelize non-believers. As Christians our hope makes us not ashamed because of the love of God that is shed abroad in our hearts. Be informed!!! Sign up here to receive announcements of our upcoming events, and programs. 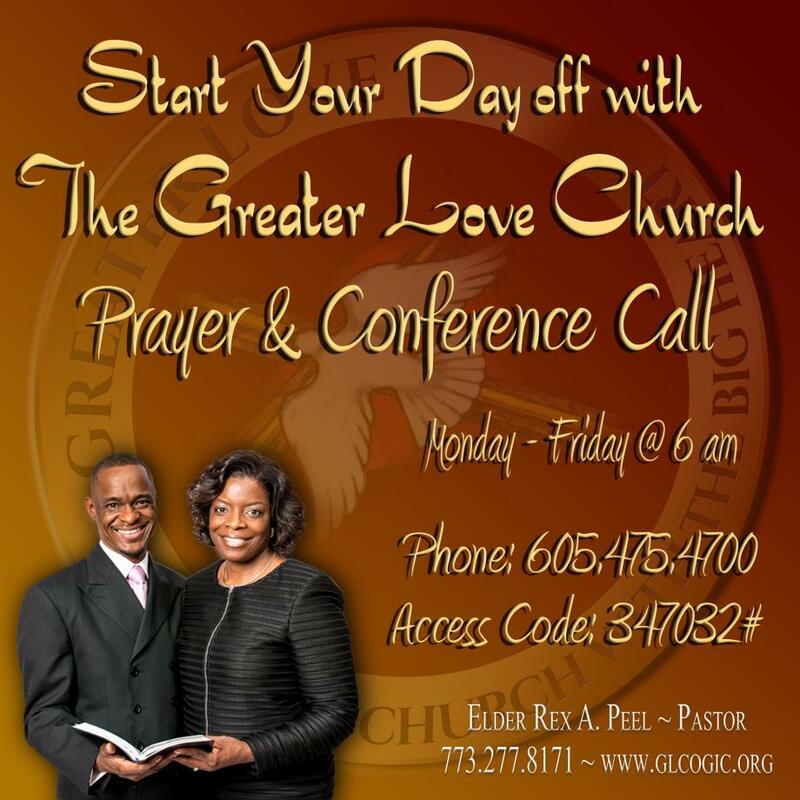 On behalf of Pastor Rex A. Peel, Lady Melissa D. Peel, and the citizens of Greater Love we want to thank you for subscribing to our E-Blasts. May God Bless you and Keep you, May he make His face to shine upon you and give you his peace!! !